A small group of Lower Park Year 3 and 4 children recently competed in the Stockport Key Steps gymnastics competition. They have been arriving at school half an hour early in order to train for the event. Mrs Leach, one of the teaching assistants, has been working intensely with the group and taught them three different routines. The children were entered as either individuals or team members. They all competed extremely well with the team members receiving a bronze medal after being awarded 3rd place overall. 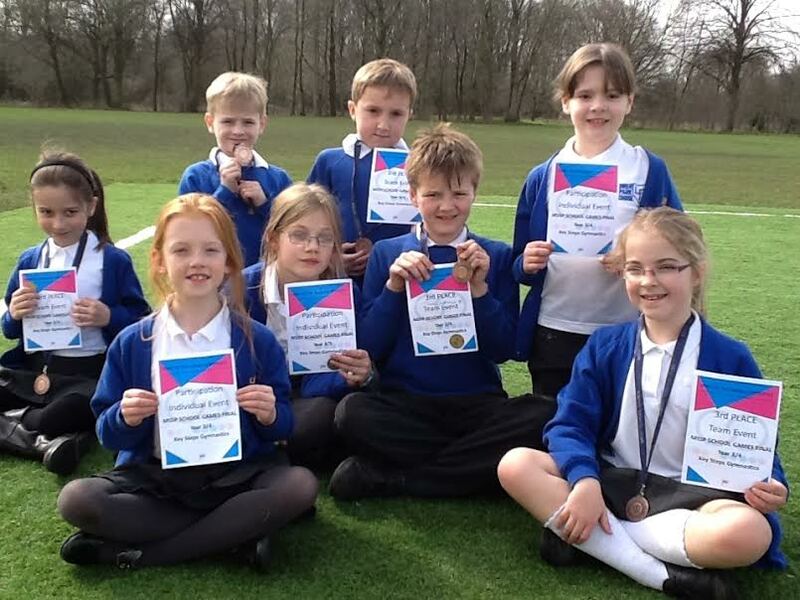 Well done to all the children who represented the school very well and have worked extremely hard! Individual competitors were Bethan, Holly and Bethany. They all competed very well in what was a hard competition. Team members were Daniel, Ruben, Freddie, Lois and Lorna. Finally, a huge well done to the reserves, Louisa and Jack, who worked equally hard to ensure they were prepared if needed!